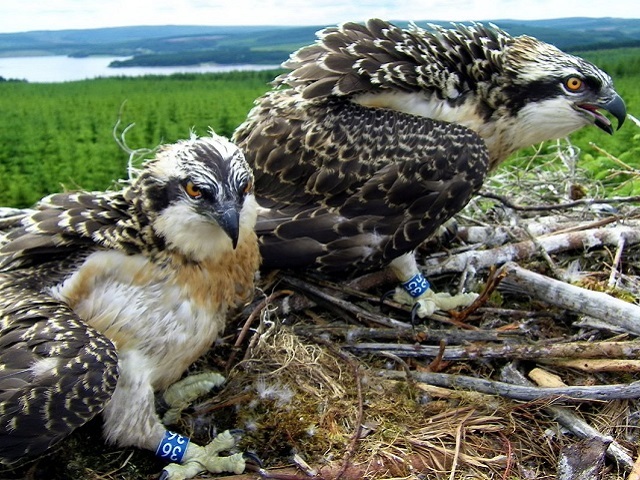 During the spring and summer, Kielder Water & Forest Park is very proud to be home to the amazing Osprey. Northumberland Wildlife Trust and the Forestry Commission work closely to monitor the Osprey and their nests and hatchlings whilst the birds are in residence, but during the winter months, the Osprey migrate to warmer climes. During these times The Kielder Osprey Blog tracks the Kielder Osprey and follows their patterns of migration and flight. You can read about UV and his winter flights on their blog. The Osprey can be seen in the Spring and Summer at Kielder Water & Forest Park and you can join Calvert Kielder for our Osprey and Wildlife Cruises during the season to watch the Osprey up close. For more details about these cruises please contact our Team on +44 (1)434 250 232.